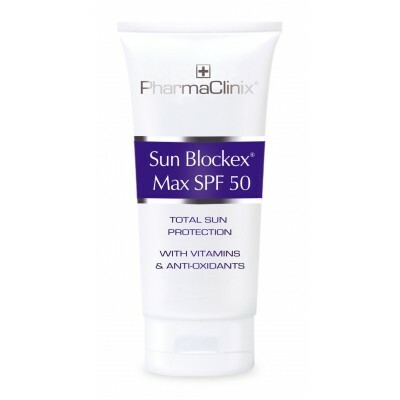 Sun Blockex® Max SPF 50 is the only Total sun protection cream which contains skin whiteners, vitamins & collagen. 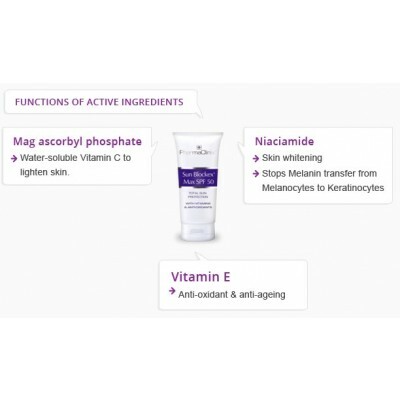 This is particularly effective in Asian & darker skins, as it lightens the dark patches that inadvertently appear with even the slightest sun exposure. Apply liberally and gently massage onto your face and exposed areas until fully absorbed. Re-apply frequently and after drying.